The 2004 Summer Olympic Games, officially known as the Games of the XXVIII Olympiad and commonly known as Athens 2004, was a premier international multi-sport event held in Athens, Greece, from 13 to 29 August 2004 with the motto Welcome Home. 10,625 athletes competed, some 600 more than expected, accompanied by 5,501 team officials from 201 countries. There were 301 medal events in 28 different sports. Athens 2004 marked the first time since the1996 Summer Olympics that all countries with a National Olympic Committee were in attendance. This marks the return of the games to the city where they began. A new medal obverse was introduced at these Games, replacing the design by Giuseppe Cassioli that had been used since the 1928 Games. This rectified the long lasting mistake of using a depiction of the Roman Colosseum rather than a Greek venue. The new design features thePanathinaiko Stadium. 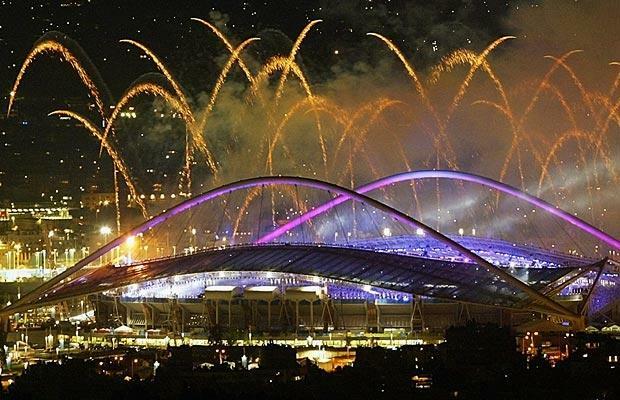 The 2004 summer games were hailed as “unforgettable, dream games” by IOC president Jacques Rogge, and left Athens with a significantly improved infrastructure, including a new airport, ring road, and subway system.